If you’ve spent more than 42 seconds researching factors that influence business success, chances are that you’ve bumped into several books, online classes, articles, and a wealth of videos that all talk about the importance of defining a strong value proposition – a proposition that your targeted customers have a (strong) need or desire to purchase from you. With this said, it is no secret that one of the most important factors of business success is a strong value proposition. 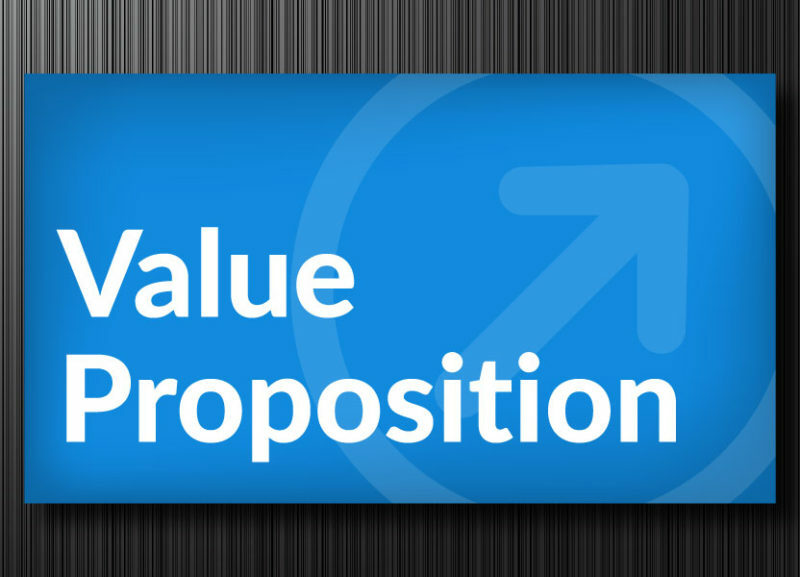 In fact, a great value proposition helps a product/service nearly sell itself while a marginal value proposition will tend to require some extensive legwork on the marketing and selling side of your business to create a meaningful revenue. Your value proposition must be perceived as a solution to a challenge that you customer is dealing with. The price of your value proposition must be weighed against the perceived value obtained. It sounds easy, doesn’t it? So, why don’t all businesses hit a home run when it comes to defining their value proposition? Let’s look at the classic scenario. You started a business and it took off. Customers love what you offer. Things are going great… until the financials suddenly start to slow down, or perhaps even show signs of decline. What happened? You are doing what you always have done – in the exact same way! The answer is often simple: People change! And it is not always you. I’m talking about your customers. Are you still offering an actual solution to your customer’s problem(s)? Did the problem perhaps change while you weren’t paying attention, or is the solution no longer the best solution that customer can choose from? Is the price you are asking for this solution (value proposition) still reasonable – as perceived by your customer? Is the perceived value of your solution less than what is was? Is(are) your competitor(s) offering a similar value proposition at a lower price? Remember, most businesses will suffer a slow (or sometimes fast) death if growth stops. If you don’t keep moving up (even at a slow pace), you will sink. Defining a great value proposition will be one of the most fundamental steps you can take to ensure a growing business. Do you want to deep-dive into value proposition optimization to take your business to the next level? Contact the Business Mentor Team today and schedule your appointment. Contributed by: Morten Jensen, www.SteenSolutions.com.